The handling of member support calls is a key determinant of the quality of your members’ customer experience, and an integral part of your CME platform’s ease-of-use. An unpleasant customer service interaction will impact a customer’s view of your CME programming, and ultimately your association. In fact, according to a recent Forrester Research report, your members actually don’t want to call your helpline—it’s something that they strenuously avoid. Consumers overwhelmingly prefer to find answers on their own, preferably on the same page that they’re having trouble with. A call or an email is an extra step that research shows consumers simply don’t want to take. They shouldn’t have to Google or scour a user forum for solutions, either. If they do, many experts say, you’ve already begun to lose their trust in your commitment to meeting their needs. The most important element of a member’s support request, however, isn’t a short average hold time (AHT) or even how rapidly answers are found—it’s the reason why they’re calling in the first place. In developing a member support call reduction plan, your best approach is stopping unnecessary calls before they happen. Let’s take a look at three strategies that you can implement right now. First, let’s define an “unnecessary” call. Most leading customer experience analysts define it as one resulting from a low-complexity issue that could just as easily be resolved by the consumer when given adequate information. Creating self-service options that score high on usability and low on consumer-effort is first on our list. “Most user problems relate to two kinds of issues: design issues that directly affect the user (aka customer) experience, such as poor usability, poor visual design, and lack of responsive design, and managerial issues, such as reporting capabilities and adjustments to organizational needs.”— E-Corporate Learning Management Systems 2016 – 2018 and Academic Learning Management Systems 2016 – 2018, Sharon Vipond, E-Learning Guild. An FAQ laden with tech-speak or buried within an immense, scroll-intensive knowledge base defeats its original purpose. Your members shouldn’t need help in order to navigate your self-service options. When your members call, it’s not simply to resolve an issue, they’re calling because your troubleshooting resources failed the usability test: they were either scanty or too unwieldy for them to manage. Make your self-service options comprehensive, yet simple to use. “According to the vast majority of e-learners in a recent study, a distracting visual design negatively impacted platform usability to a high degree.” — Assessing the Usability of Learning Management System: User Experience Study, Institute for Computer Sciences, Social Informatics and Telecommunications Engineering 2016 G. Vincenti et al. (Eds. ): eLEOT 2015, LNICST 160, pp. 9–18, 2016. Usability is a word that’s been employed in so many sectors of technology and commerce that’s it’s lost some of its original meaning. Here, we define it as how well your LMS “auto-corrects” when consumers encounter a problem when launching, completing or returning to an activity on your platform. Make design optimize the impact of activity content with a simple, purpose-driven user interface (UI) that promotes a seamless learning experience. Reducing member support calls also means reimagining the parameters of your customer service model. The focus should be on shepherding members past potential roadblocks by presenting a solution before a problem arises. Since the root cause of many support calls has to do with usability, your goal should be to eliminate the need for wayfinding help by allowing consumers to customize their learning experiences according to their needs. Activities that offer some degree of user-directed personalization will diminish the number of assistance requests concerning low-complexity issues, such as minor user interface (UI) style changes or progress alert formats. Now let’s look at 3 specific issues that may be influencing support call volume. A login process that adds layers of complexity to simple administrative tasks. Logging in should be an easy process and highly tolerant of user error. A visually cluttered back-end UI that distracts from activity management or that requires multiple steps to transition between activities. The UI should be purpose-driven, with style components used to highlight content or provide on-page support. The lack of labor-saving solutions for failed payments and issue routing errors can also spur high support call volume. Many payment issues are related to bank card processing errors, rather than a failure of your platform’s order fulfillment system. These can be easily managed through an order fulfillment structure that directs members to contact their bank, and then allows them to submit a ticket to return to your platform for further support if the problem is indeed on your end. Customer support request volume invariably depends on the capacity of your LMS platform to respond intuitively to the needs of your members. As your subscriber base grows, those needs will heighten in complexity and range, putting significant pressure on your support staff if your LMS wasn’t built to scale. In reevaluating your current LMS, be certain that its structure is based on solid instructional design principles. This will help to amplify platform usability and allow you to preempt design-related support calls. Here are the elements that should characterize your LMS, regardless of the size of your CME program. Your platform should be equally accessible regardless of the device that your members are using. Calls regarding difficulties viewing content or using forms on different platforms can be solved by using an LMS that detects the device that your members are using and adjusts content displays accordingly. Activities should be appropriate to their context and be geared toward the unique needs of your members. For example, learners without time to watch a video or who need to find specific information from audio content might contact your helpline to request transcripts, or to find out if videos can be downloaded offline. Provide a range of ease-of-use solutions that are embedded within each activity and available with a single click. From logins to payment processing, your LMS should offer seamless transitions between critical tasks. This should be more than a merely user-friendly navigational structure. Consumers shouldn’t have to leave the page that they’re on to launch a task which would naturally follow the activity just completed. Create a structure that presents logical task options that require minimal effort to start, exit, and return to. Do my users have access to all of the components required to easily start, finish, and review current activities on a single page? Are images and media elements purpose-driven and easy to hide when users find them distracting? Have virtually all low-complexity site usage issues been matched with an easily accessible self-service solution? Answering in the affirmative to these critical questions requires an agile LMS—one that will permit you to reduce common and high-complexity support requests without compromising instructional design or customer service excellence. At Ethos CE we’ve spent more than 16 years creating custom solutions for our clients that help them reduce support call volume and provide exceptional learning experiences for their members. Connect with us to find how we can help you to cut through the noise and return to providing your members with exceptional CME programming. The best solution is to preempt unnecessary support calls or inquiries before they happen. Your LMS should use tech features which enhance, rather than merely support, your members’ learning experiences. 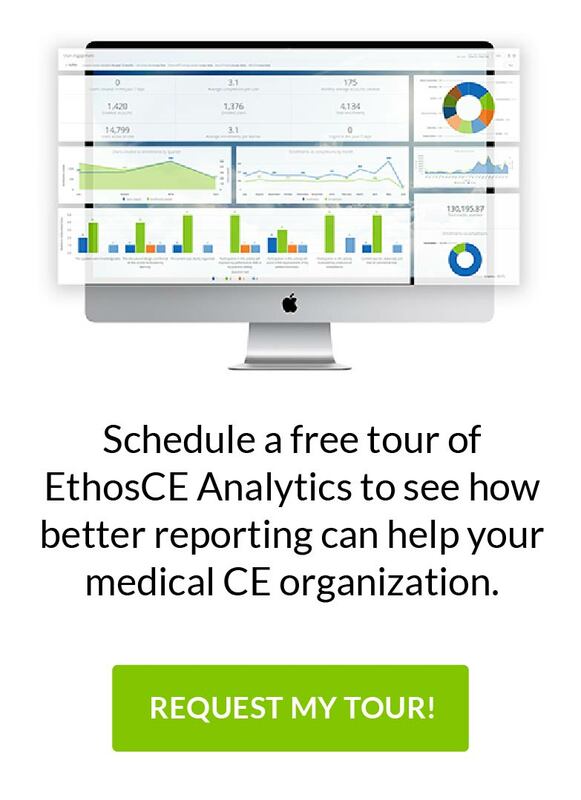 At EthosCE, we’ve been helping leading medical associations to reduce support call volume by making their LMS technology work for, rather than against, their CME goals. We offer a robust LMS with integrated customer support, allowing you to focus on education, not putting out fires. 9 Healthcare Websites Using Drupal Content Management System HealthCamp Philadelphia Announced!